Ransomware attacks can have a devastating effect on your clients, so it’s vital that you understand this threat, explain it to customers, and introduce them to the technologies and policies that can stop it. To help, we’ve listed the key best practices MSPs should follow to protect clients against ransomware. Ransomware works by encrypting users’ data and forcing them to pay ransom to regain access to the data. Unless a business backs up all its data, it’s virtually impossible to get it back without paying. As an MSP, it’s crucial that you understand this threat so you can explain the dangers to customers, and introduce them to technologies and methods that can keep them safe. It takes one bad user decision to unleash a ransomware attack that ends up costing thousands of dollars. Ransomware is often delivered as a Trojan through an infected URL or attachment on a phishing email. Prevention isn’t possible 100% of the time, but, in most cases, attacks can be stopped if users know what to watch out for—and that’s something you can help them with. If a user accesses a site and it starts downloading a file automatically, that’s a bad sign. Similarly, users ignore browser warnings about a site they’re about to access at their own peril. Make sure clients understand these dangers, and introduce them to security tools that offer scan-ahead protection and block suspicious sites. Reliable, cloud-based malware protection can prevent some ransomware attacks; for maximum protection, malware tools must be kept current. Always apply security patches and software and plugin updates as soon as they’re released and tested. 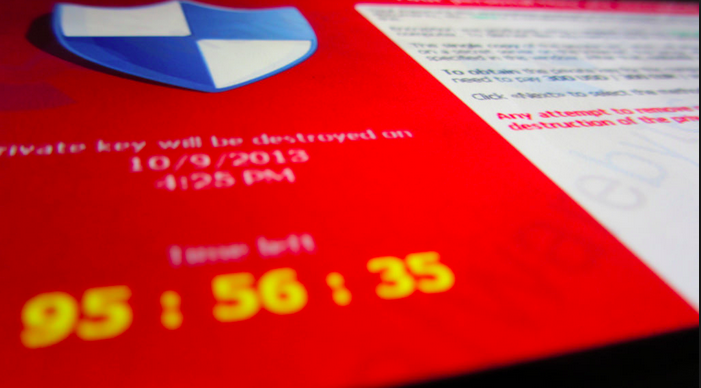 Most businesses have antivirus tools and firewalls, but these alone won’t stop ransomware. Comprehensive protection requires a multilayered approach that protects endpoints and the perimeter, and monitors inbound and outbound data. Your clients need broad-spectrum, multilayered cloud security solutions that maximize protection and minimize the chances of a ransomware attack. Nothing is more effective in fighting a ransomware attack than restoring data from backups. As an MSP, you cannot over-emphasize the importance of backups to customers, who sometimes fail to see the value of regular, secure backups. Remind clients that, in case of a ransomware attack, they would either have to pay up or kiss the data goodbye unless they had a secure backup. Some ransomware variants, like CryptoLocker, can also encrypt backup drives that are physically connected to an infected machine. That’s why you should offer automated cloud-based backup. This makes it virtually impossible to infect backup data while giving clients additional benefits: a simplified backup process, storing replicated data offsite, and anytime/anywhere access. Ransomware, like all malware, will continue to evolve. As an MSP, you need to monitor this evolution, which strains are most dangerous, and who is being targeted. The more informed you are, the more protection you can offer. Want to find out if Webroot has what it takes to protect your customers? See for yourself with a no-risk FREE trial. You don’t even have to uninstall existing security. Want to learn more about how Webroot partners with MSPs to delight customers, lower costs and boost profits? Learn more.